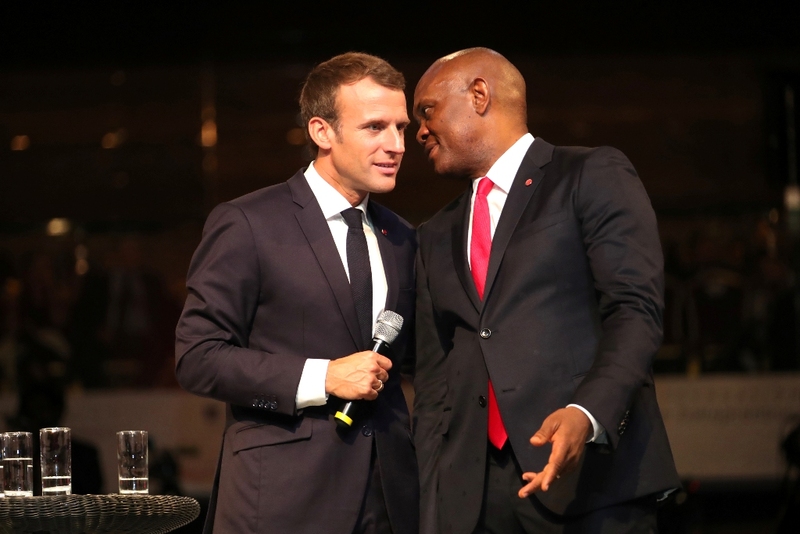 The President of the French Republic, Mr. Emmanuel Macron and the Founder, Tony Elumelu Foundation and Chairman, UBA Group, Mr. Tony O. Elumelu at the interactive session hosted by the Tony Elumelu Foundation in Lagos on Wednesday. 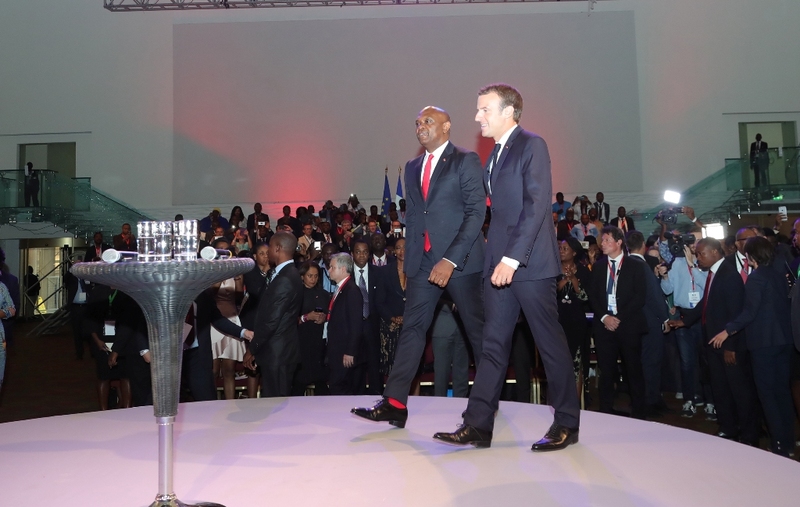 The President of the French Republic, Mr. Emmanuel Macron discussing with the Founder, Tony Elumelu Foundation and Chairman, UBA Group, Mr. Tony O. Elumelu during an interactive session hosted by the Tony Elumelu Foundation for President Macron and young African entrepreneurs in Lagos on Wednesday. 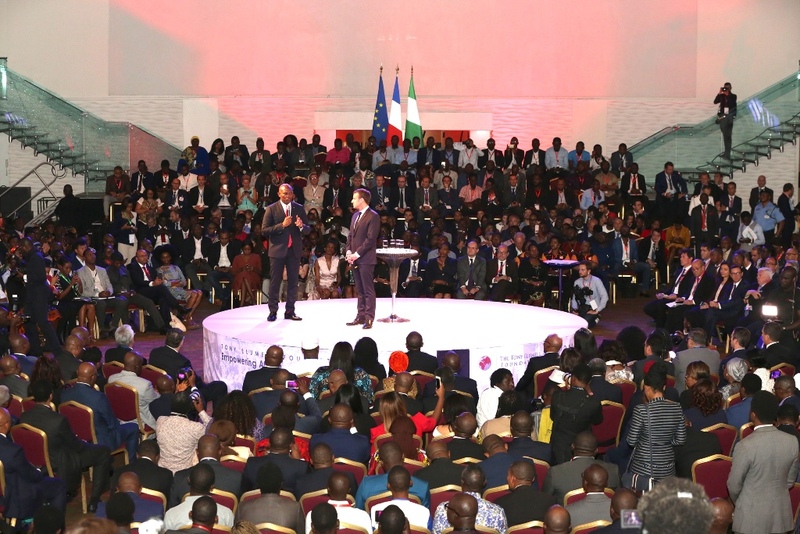 The President of the French Republic, Mr. Emmanuel Macron and the Founder, Tony Elumelu Foundation and Chairman, UBA Group, Mr. Tony O. Elumelu addressing young African Entrepreneurs at the interactive session hosted by the Tony Elumelu Foundation for President Macron and young African entrepreneurs in Lagos on Wednesday. 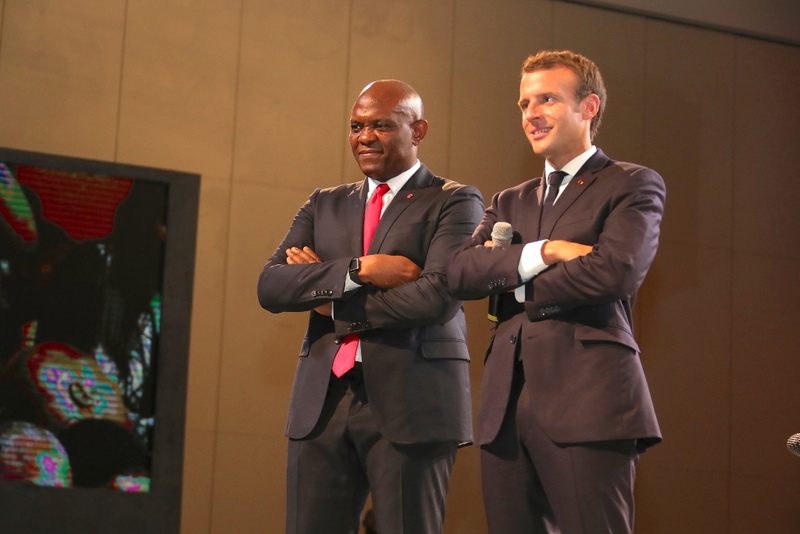 The President of the French Republic, Mr. Emmanuel Macron and Founder, Tony Elumelu Foundation and Chairman of UBA Group, Mr. Tony O. Elumelu listening to an entrepreneur at the interactive session with President Macron and young African entrepreneurs hosted by the Tony Elumelu Foundation, in Lagos on Wednesday.